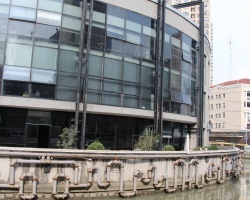 An exciting project promoted by Shanghai Municipal Board for Art Promotion in association with the Public Water Works Department. 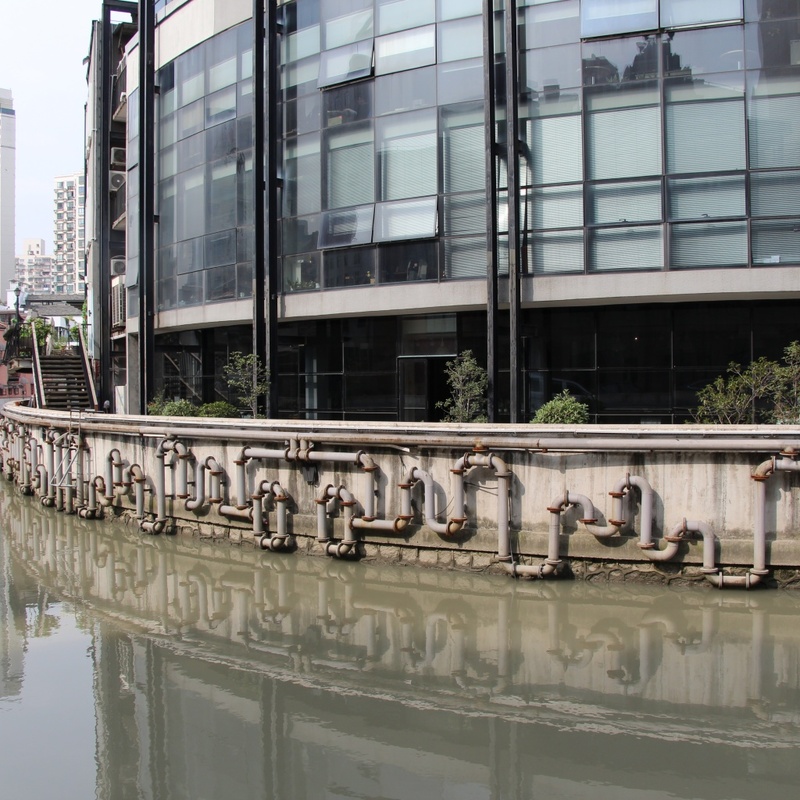 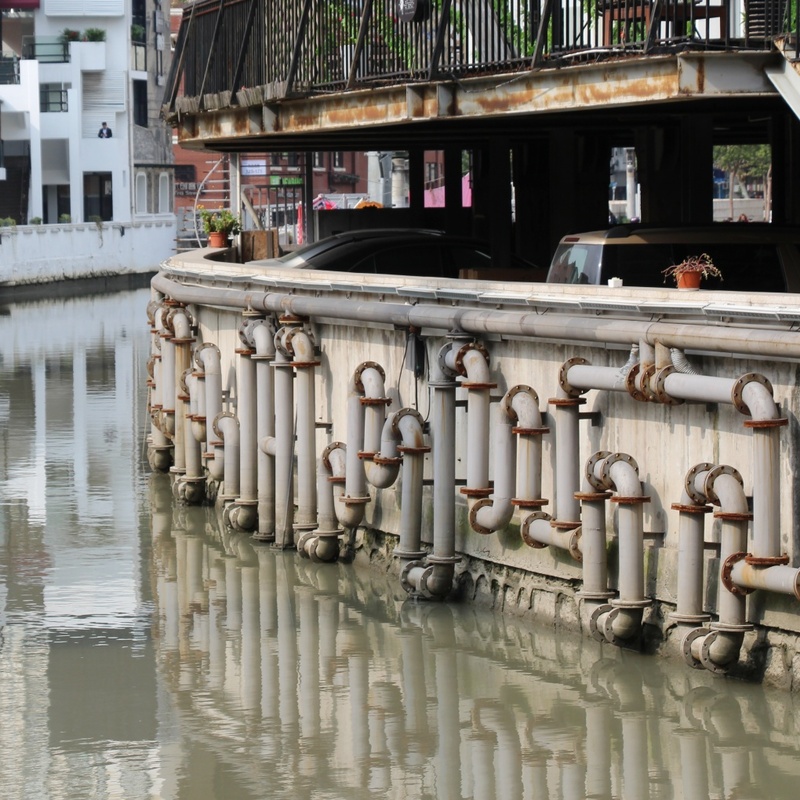 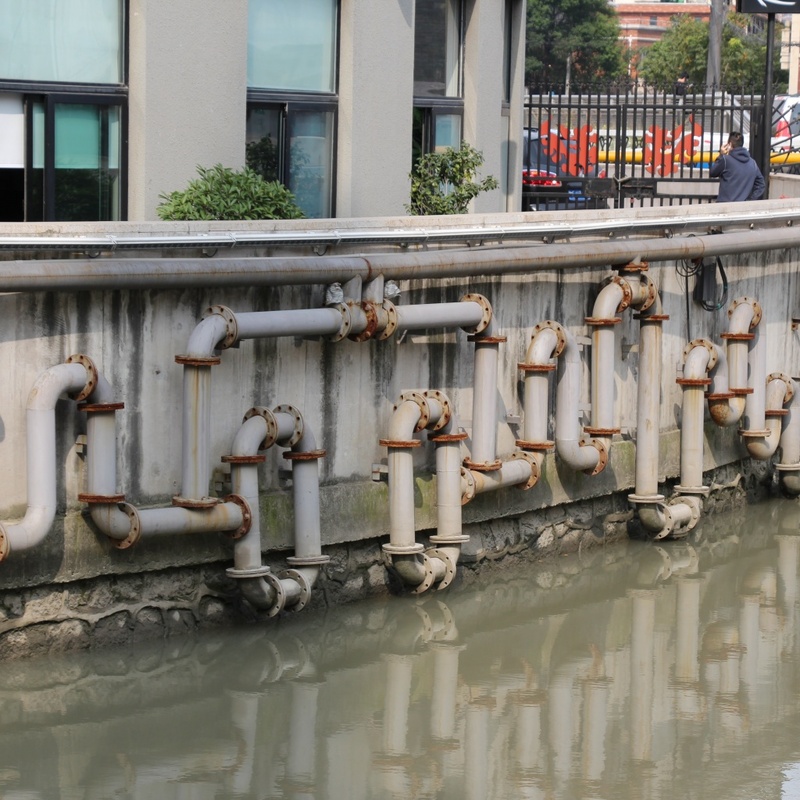 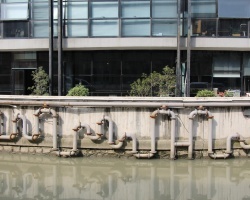 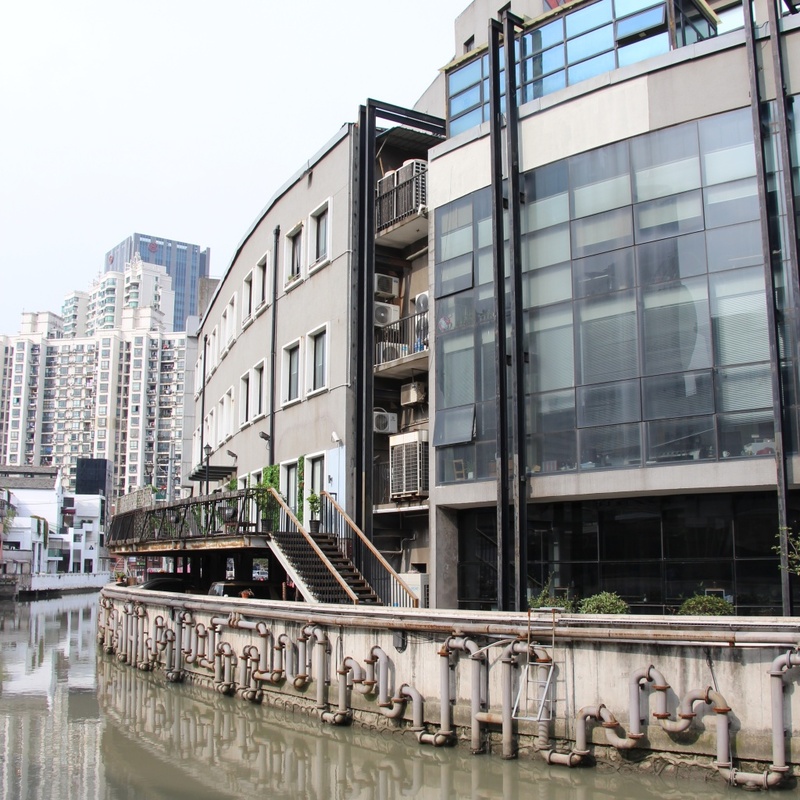 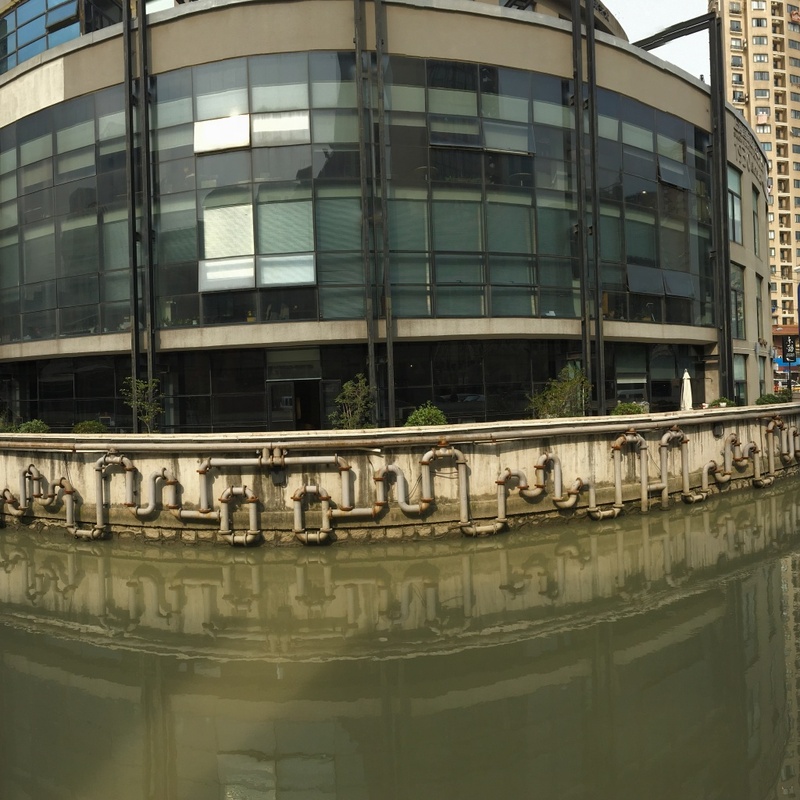 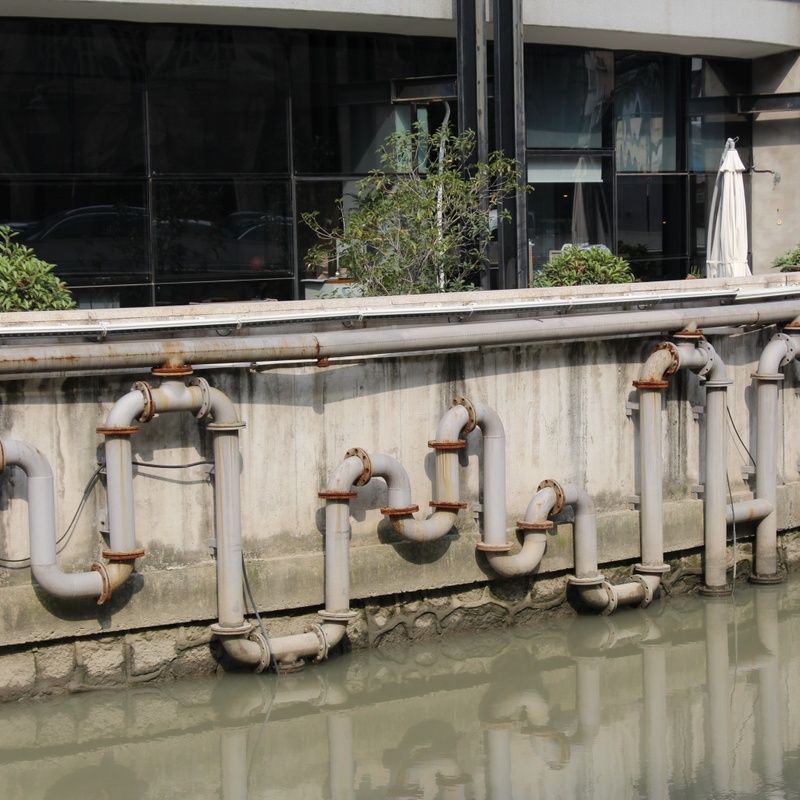 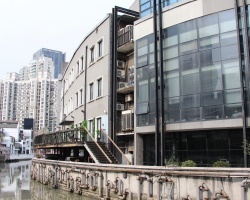 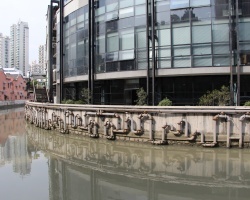 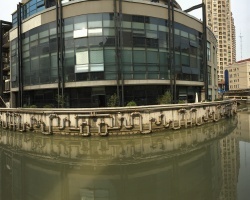 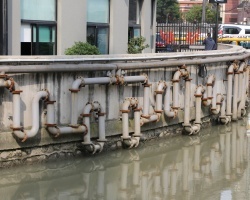 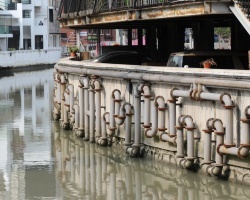 On the canal of Shajing Port, in a 1930’s industrial district undergoing intensive renovation and gentrification, a new water control system was to be put in place, risking by its obstructiveness to ruin the appearance of the canal banks. 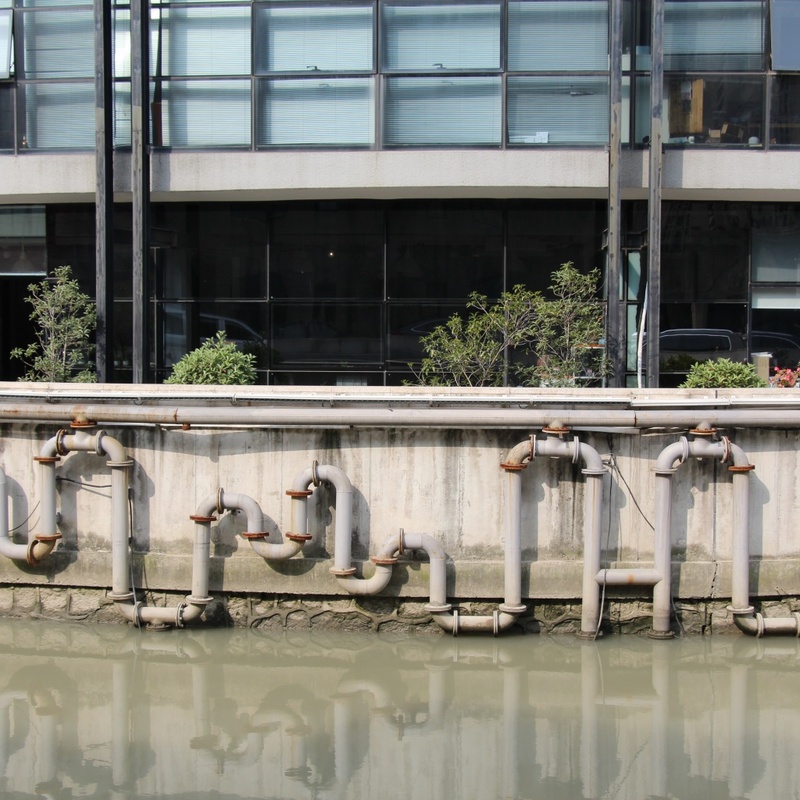 I have always been fascinated by the mazes of pipes found in industrial machinery and plants, that sometimes may almost seem a casual overgrowth, while in fact every bend, branch and junction has a specific reason to exist as such. 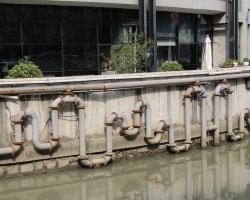 Rather than camouflage the pipes, I decided to keep them in full view and to propose a repetitive pattern capable of transforming a purely engineering work into a highly decorative composition that reminds one of the intricacies of a traditional Chinese screen.